This 60-hour training offers a comprehensive introduction to triyoga hot. 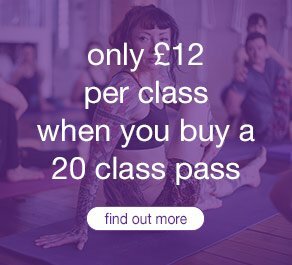 It will give you the skills and knowledge to safely and effectively teach triyoga hot classes, whilst simultaneously deepening your appreciation, understanding and personal practice of hot yoga. Morning sessions will generally start between 7.00 and 8.30am and afternoon session will generally finish between 5.00 and 6.00pm. Teachers are expected to arrive on time each day and participate in the practice twice daily. triyoga hot is a set sequence of approximately 30 postures practised in a heated environment of 34-36C, that facilitates safe, deep stretching and a cleansing, detoxifying sweat. The practice incorporates breathing exercises and static (as opposed to flowing) postures, to cultivate balance, strength and flexibility, both physically and mentally. Following specific alignment and timing principles, you will work the entire body systematically – restoring the health of every organ, bone, joint, muscle, ligament, nerve and gland. By bringing fresh, oxygenated blood into every part of the body, this hot yoga practice rejuvenates the entire system, leaving you refreshed with a healthy glow. The triyoga hot practice is informed by the teachings of Hatha and hot yoga methods, and the 8 limbs of yoga are implicitly woven into the fabric of the classes. It incorporates intelligent alignment and timing principles and a light-hearted approach while maintaining the intensity and transformational qualities of traditional hot methods. The sequence promotes joint safety, and has been assessed and endorsed by physiotherapists – making it a powerful, nurturing and accessible practice for all levels. On completion of the training, teachers will have an in depth understanding of how the teach 60, 75 and 90 minute versions of the triyoga hot sequence, and how to make the practice accessible to all levels of yoga practitioner. This course is part of triyoga’s continuing professional development programme, and is only suitable for yoga teachers and teachers in training. You will need to have completed an initial teacher training, or currently be in training as a yoga teacher to be eligible to book onto this course. In the event that you are unable to complete the training due to exceptional circumstances, any exemptions to fulfilling your requirements, including your financial obligation, are at the discretion of triyoga Education. Please see our refunds policy for more details. Teachers who successfully complete the training will be eligible to apply to teach this style of hot yoga at triyoga. Kristin currently teaches regular classes at YYoga in Vancouver and Shala Yoga Squamish BC Canada, is on faculty for YYoga, triyoga, Julia McCabe and the Shamanic Yoga Institute Yoga Teacher Trainings. With passion and precision and a knack for holding space in her own loving, accessible and nurturing way, Kristin teaches sustainable, alignment-based, light-hearted and sweaty yoga inspired by 16 years of teaching, 9 years of yoga studio owning, 10 years of training teachers. Kristin’s love for Hot, Power and Anusara Yoga led her to create a much needed alignment based Hot Yoga program she calls Tapasya Hot Yoga. Currently triyoga UK and YYoga Canada are offering Tapasya Hot Yoga inspired classes. Kristin is trained in these lineages, Bikram, Anusara, Baptiste Power Vinyasa, and the Yogini Birth Method and continues to source knowledge from these wisdom traditions, Shamanism, Ayurveda and Mastery Meditation.